The bar is unique in its design and furnished with attention to detail, suiting exactly the purpose of this area. The rounded bar initiates interaction and exchange. This is the place where people go to, in order to enjoy a more speakeasy evening setting. 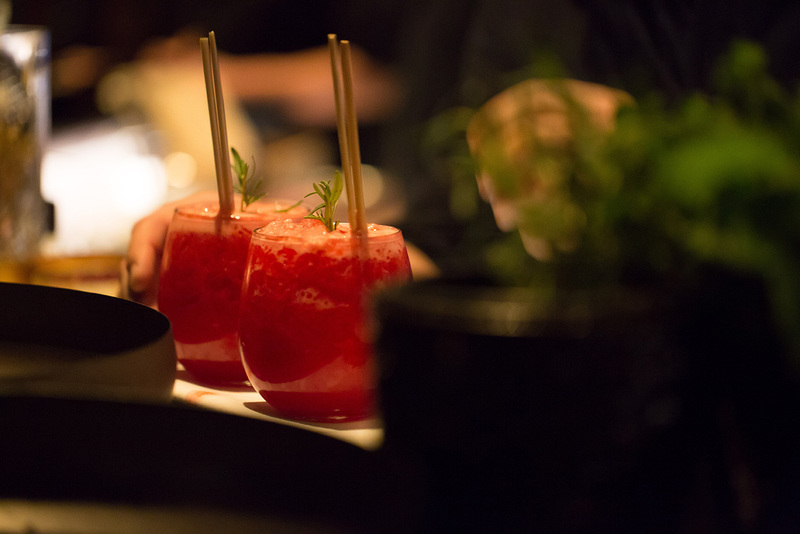 Emanuele Broccatelli, a renowned Italian mixologist, is in charge of the drinks served at Layla. The drink menu consists of a well-selected choice of local spirits and organic wines. The wine list predominantly contains wines from Europe as well as the Middle East. Emanuele is emphasizing on the value of the terroir – enhancing the recipes of classical cocktails to unique concoctions infused with herbs and spices from the Mediterranean. No wonder that the cocktail menu offers a wide selection of unique drinks. 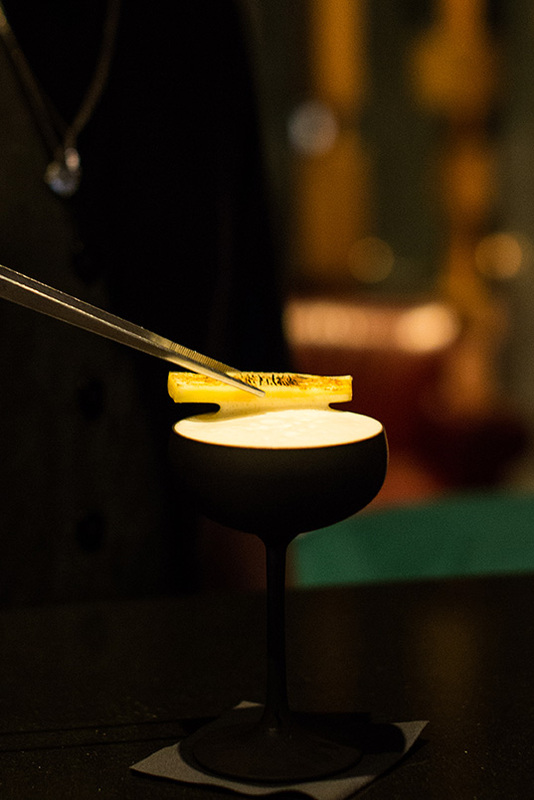 From classical cocktails to cocktails which were exclusively created for Layla, one will be taken onto a tasteful Journey. But they all have one thing in common: they complement chef Meir Adoni’s food. Designed by BALD Studios, the bar conveys a sense of intimacy. The division of the space, the elected lighting as well as the hand-picked accessories, enhance this atmosphere of ease. The material of the interior ranges from metal to wood, transmitting an industrial, yet warm feeling. 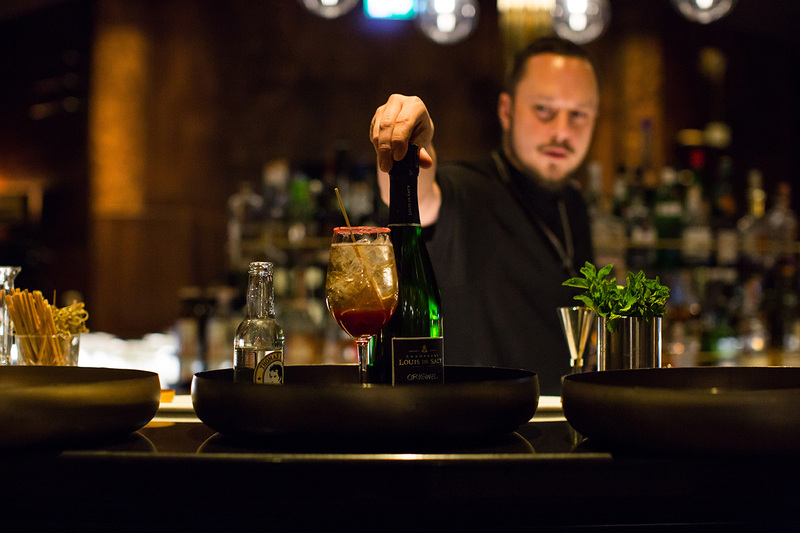 At Layla Bar, guest can order a nice variety of bar food – a unique selection of Meir Adoni signature dishes – which can be paired with complementing drinks. The music at Layla is conceptualised by Maayan Bazak, an international music editor, who units European and Middle Eastern beats. Layla Bar is open daily from 5:00 p.m. in the evening until late at night and is located next to Tempodrom at the corner of Hallesche Straße and Möckernstraße.